BMW 46 GTR Style Side Skirts by DTM Fiber Werkz. 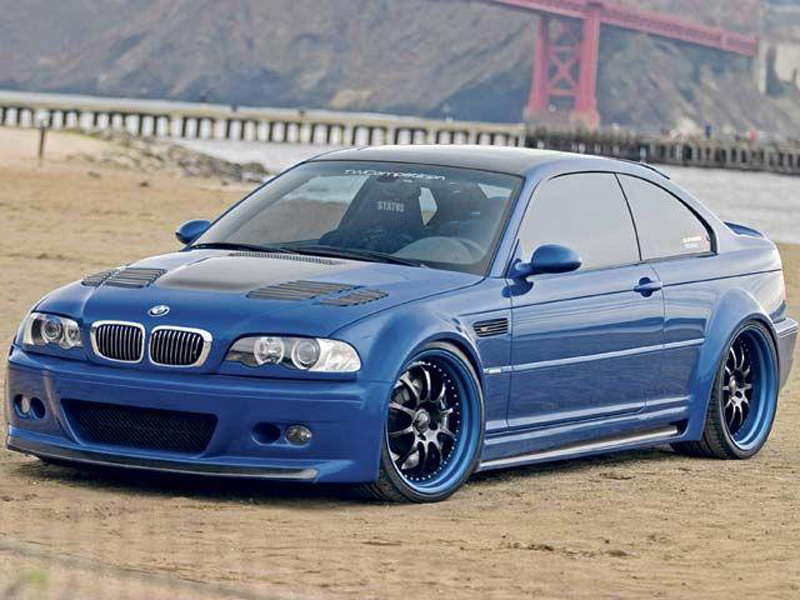 Give your BMW E46 3-series a new look with this streamlined, race-inspired GTR style Side Skirts. Featuring streamlined aerodynamic styling, these Side Skirts lend a more aggressive, track-ready look to your E46 and feature functional brake cooling inlets. Produced using Fiberglass Reinforced Plastic (FRP) for superior strength and durability, they are also available with optional full Carbon Fiber [CFRP] inserts (+$150.00). FRP Side Skirts come unpainted and finished in a gel coat, ready to prep, prime and paint to match your vehicle. See FRP disclosure for more information. Find BMW E36 Bodykits at ModBargains. Modification Experts ready to assist. 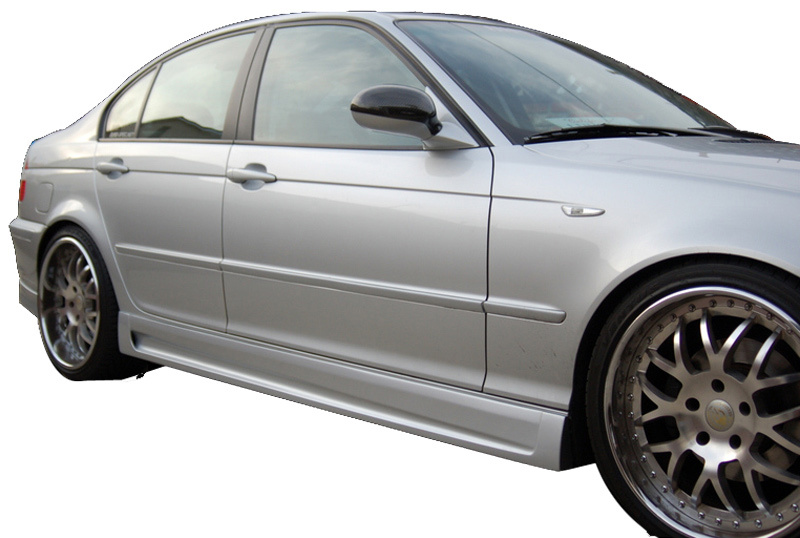 Give your BMW E46 3-series a new look with this streamlined, race-inspired GTR style Side Skirts. Featuring streamlined aerodynamic styling, these Side Skirts lend a more aggressive, track-ready look to your E46 and feature functional brake cooling inlets. Produced using Fiberglass Reinforced Plastic (FRP) for superior strength and durability, they are also available in optional full Carbon Fiber [CFRP] construction (+$150.00). FRP Side Skirts come unpainted and finished in a gel coat, ready to prep, prime and paint to match your vehicle. Vehicles shown may include moldings, grilles or an addition to the DTM Autowerkz piece. Parts such as lights, splitters, canards, paint, grilles and other accessories are not included unless specified. NOTE: Like all Carbon Fiber and FRP products on the market, this product must be test fitted & prepped before installing it. Often, slight modifications are required such as trimming, sanding, filling, or smoothing the surface in order to achieve the best fitment and appearance. This is NOT an OEM product, fitment will NOT always be perfect straight out of the box. We strongly recommend having this product installed by a body shop experienced in working with AFTERMARKET body kit pieces, not a standard collision repair center that works on insurance claims. Images for this item are an accurate representation of THIS PRODUCT, properly installed by a professional installer. We also offer installation of this product at our own installation facility in southern California. Questions about these E46 GTR Style Side Skirts? Our Modification Experts are standing by and available to help you, online or by calling 714-582-3330. ModBargains also offers expert installation and can install this upgrade for you. Call today!